Trying to come up with a B2B marketing plan? It can be a struggle to build a base of clients or customers when you’re first beginning. This is why it’s crucial that you stick with the basics of B2B strategies to build a solid foundation. I’ve built many B2B businesses with the following tactics, and I’m going to guide you step-by-step in executing them. Did you know that Coca Cola spends more on content than any other form of advertising? In case you’ve been living under a rock, content marketing has become one of the go-to strategies for B2B and B2C companies alike. It builds trust with users, generate leads, and turns your brand into an authority. You’d have to be crazy not to want that! However, it’s not as easy as posting one 500 word blog post every week, and thinking you’ll be the next Microsoft in a couple of months. It takes planning, strategy, and execution to see results. 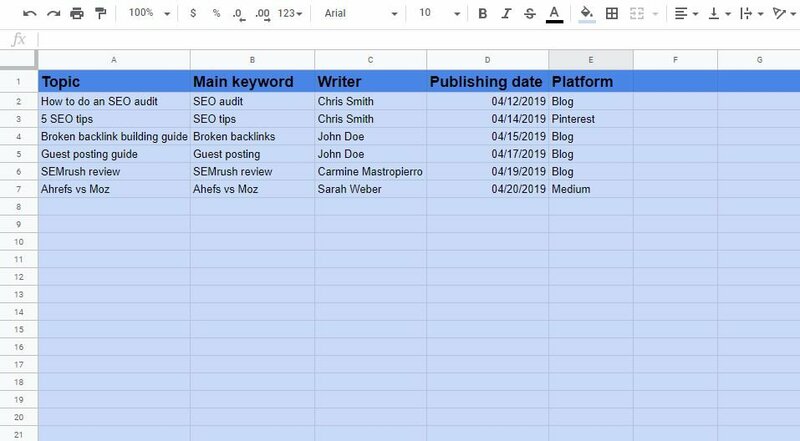 Follow along as I guide you through putting together a basic B2B content marketing plan. What do you want to get out of content marketing? More qualified leads? Increased amounts of users downloading an app? You can’t have a content plan without goals because you won’t know how you’re performing, so determine some first. Remember that you can always optimize and refine a content plan over time, so don’t fret about getting it perfect right away. Stick with the basics and make it better as you collect data. There are two things you will need to analyze to create a B2B content plan, which are customers and competitors. Let’s begin with customers. You need to flesh out what is called a buyers persona. This is simply a generalization of your target audience. In fact, 71% of companies that exceed revenue goals have documented personas. Buyers personas typically include categories like strengths, weaknesses, beliefs, problems, questions, and basic demographics. You see, the problem is that if you don’t have a persona like this to target you end up targeting everybody. Content becomes generic, and it will generate lackluster results. By hyper-focusing on a very specific group of people, you attract relevant users and provide solutions tailored to their exact needs. Similar to the first step of creating content goals, you don’t need to spend a lot of time on this step. Create a persona with any data you currently have or base it off of a competitor. Google Analytics, free market reports, and sending out questionnaires are easy ways to begin getting insight for piecing together a persona. Once you have completed this step, it’s time to snoop on some competitors! Let’s imagine that you offer B2B lead gen services. Search Google for keywords like “B2B lead generation” or “B2B lead generation agency” to find competition. I suggest visiting every website on the front page of Google to maximize the information you can collect. What we’re after specifically is their blog. 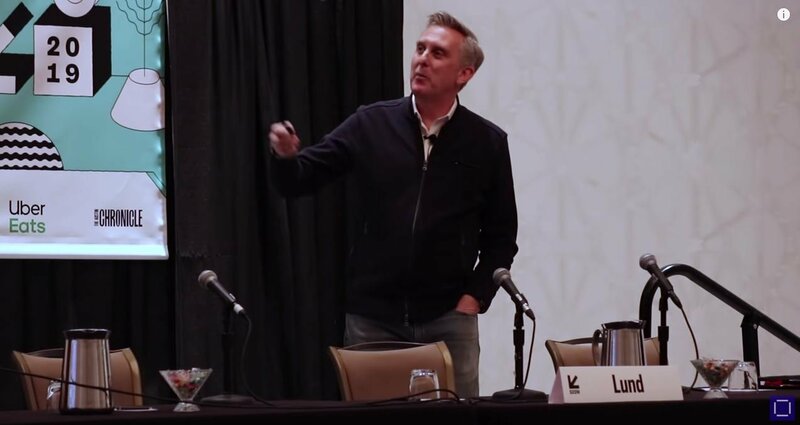 This will help you come up with content ideas, and get a feel for how your industry leaders approaches content marketing. The type of content their producing. This may include case studies, articles, lists, videos, etc. How often their publishing content, and on what platforms outside of their website. What keywords their targeting for SEO. Use tools like SEMrush to dig deeper into this. How they format content, including header tags, word count, visuals, etc. How you could take what they’ve done and make it better. You have content goals, a buyers persona, and information extracted from competitors. It’s now time to organize this into a content calendar. This is a calendar that details what and when you’ll be publishing on a monthly basis. Creating one saves a lot of time and headaches later, so it’s well worth the effort. If you followed the first three steps you will have everything in place to successfuly launch a B2B content marketing strategy. The key is to stay consistent. Ensure that you are publishing content in a variety of formats on a regular basis. I always suggest starting with a blog because it’s simple and easy. Over time you can expand into videos, whitepapers, case studies, podcast episodes, and more. It is also key that you measure your performance. Keep tabs on organic traffic, leads generated, and other KPIs you set earlier. Matter of fact, it’s how I’ve gotten 90% of my copywriting clients. The problem is that everyone does it wrong, and then they claim cold emailing doesn’t work. I’m going to teach you how to use cold emailing to generate B2B leads the proper way. While some marketers believe in the shotgun approach, which is mass emailing in hopes that some will become clients, you want to be a sniper instead. It’s been found that highly targeted email campaigns yield better results. You’d be surprised how many people still send crappy copy and pasted emails to every prospect, however. 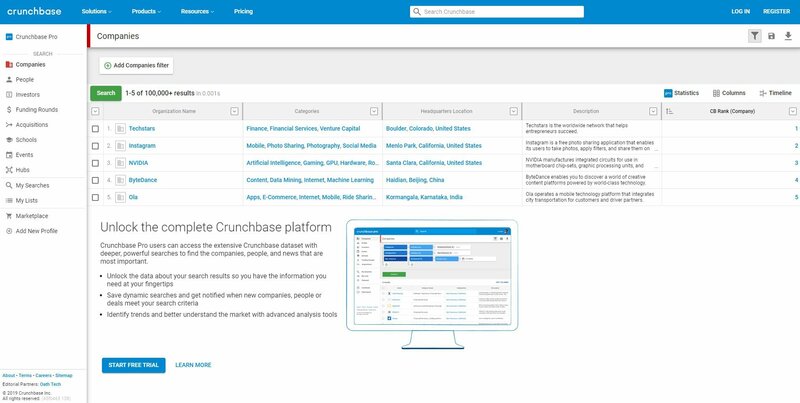 You can use a database like Crunchbaseto narrow down these types of companies and export them out to organize. You can’t expect to cold email customer service and land clients. Your message needs to land in the right hands. This means finding the decision maker about your services. For example, if you offer app development you would want to contact the chief technology officer. In my case of offering content writing services, I like to find the vice president of marketing, CMO, marketing director, etc. You can use services, such as Zoominfo or Sales Genie, to find the contact information of these individuals. If you harvested your own list of companies and don’t mind putting in a little elbow grease, use a tool like Email Hunter. It finds all of the associated emails with a domain when you’re on a website, along with phone numbers and other data. This is perhaps the most important step in B2B cold emailing: Never send a copy and pasted message. Do you really think a vice president or high-up executive won’t see through it? You need to be personable, genuine, and straight to the point. No one has time to read three paragraphs. Keep it down to a few sentences maximum. Congratulating them on acquiring a certain client. Commenting on a recent round of funding they received. Bringing up a recent article or update they posted. Lead with that, and then briefly mention what you do and how it will benefit them. Saying you offer SEO is vague and boring, for example. However, saying you can help increase rankings, beat competitors, drive traffic, and generate organic leads sounds much sexier. Once you get this down pat, it’s time for the last step. You send 10 cold emails, crack open a cold one, and you have 10 new clients in a week. That’d be nice, but it’s nowhere near reality. The truth is that you need to regularly follow up to close leads via cold emailing. It’s been found that it takes up to five cold calls before closing a client, but most sales rep stop after one! Don’t be one of these marketers. Dedicate to following up if you want to see real results. Partnering up with other companies can be one of the best decisions you make in the B2B industry. It’s easy to think that influencer marketing and collaborations are for B2C, but they are awesome in the business to business world, too. 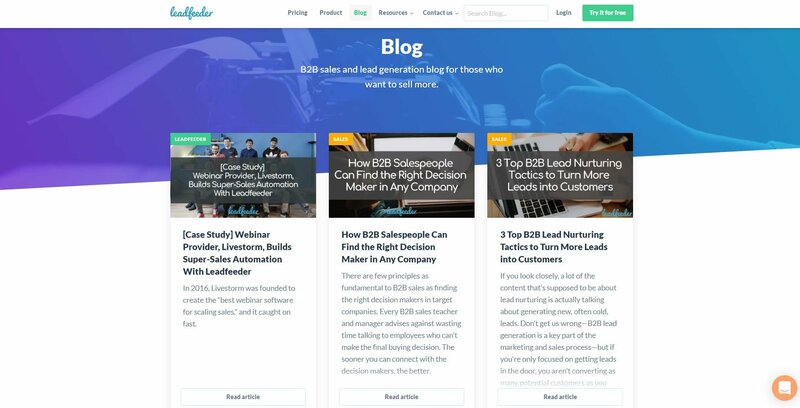 Here are some B2B influencer marketing examples to learn from. SAP is a software company that commonly holds events, including keynotes, conferences, and webinars. They also invite industry experts to speak at these events, offering new insights and perspectives on interesting topics. 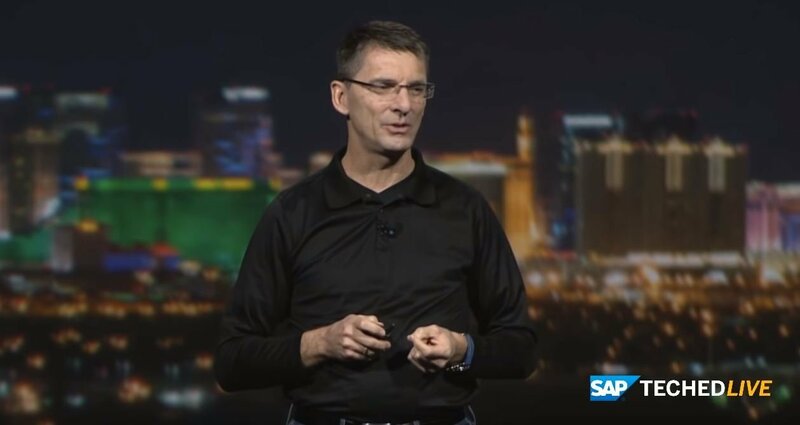 For example, SAP held an event in Germany in which they invited several influencers to speak about analytics, AI, and other topics. It trended in Germany for two days, and the influencers were responsible for 50% of all related mentions social networks. B2B comapnies that offer events like SAP need to consider contacting influencers to become a part of them. You can leverage their fan base and reach to increase your own brand awareness. American Express decided that in 2015 they would collaborate with bloggers to reach small business owners. This helped them engage with an audience interested in using American Express and accepting payments. 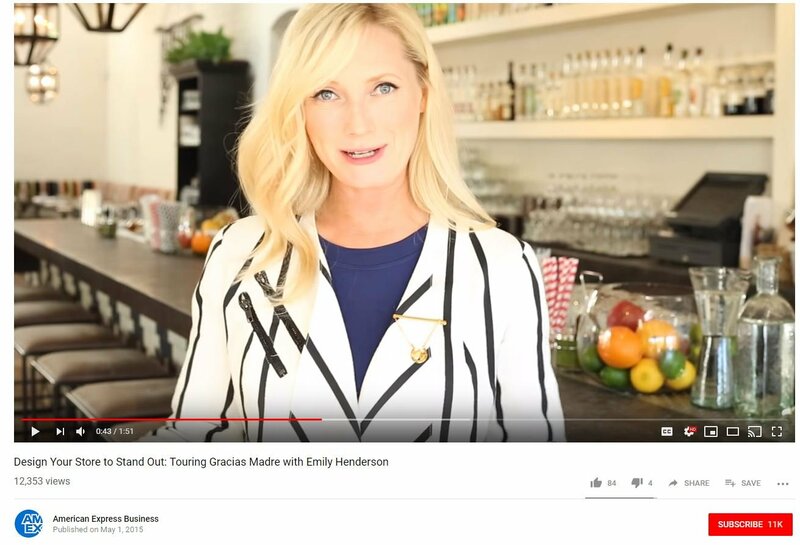 One of the bloggers they worked with is Emily Henderson. In a video they made, she goes over the importance of store design and her philosophy of what makes a great business. The campaign totaled five million impressions and over 400,00 American Express “Love My Store” decals being sent out. A main takeaway from this for B2B companies is to work with influencers that have the same audience as you. Research them carefully to ensure that their user base would be interesting in what you offer. Influencers can be right under your nose without even realizing it. That’s why IBM began using their own employees as influencers in marketing campaigns. Because who would know more about a business or product than those working on it? Take Jesse Lund, for example. He is the vice president of blockchain at IBM, and did a wonderful presentation going over the token economy at SXSW. IBM didn’t have to find an external expert because they have one of their own. If you look within your own company, I bet that some of your employees would make excellent speakers. The foundations of solid B2B marketing are content, cold emailing campaigns, and partnerships. These will never go out of style, and will forever remain as effective tactics. Imagine how many customers you would have if you stuck to these for a couple of years, scaled them, and optimized them, as well. Regarding content marketing, ensure that you create a plan which consists of publishing dates, targeted keywords, and a buyers persona. Eventually inbound will net you serious revenue via the leads it brings, but I recommend using cold emailing to acquire immediate clients in the mean time. Use databases like Zoominfo to find contact information, and send out personalized messages to decision makers. Follow up and be patient. While you are doing both of the previous strategies, it’s wise to partner with others in your industry to capitalize on their audience. Consider doing a mutual podcast, product review, or speaking at one another’s events. What have you found to be the best B2B marketing tactic?